Tulum is like a boho dream I can fondly recall. A place I can close my eyes and return to… feeling the warm sun and soft sand, the breezy air carrying relaxed tunes. I can still taste the creative mezcal cocktails, and fresh acai bowls. 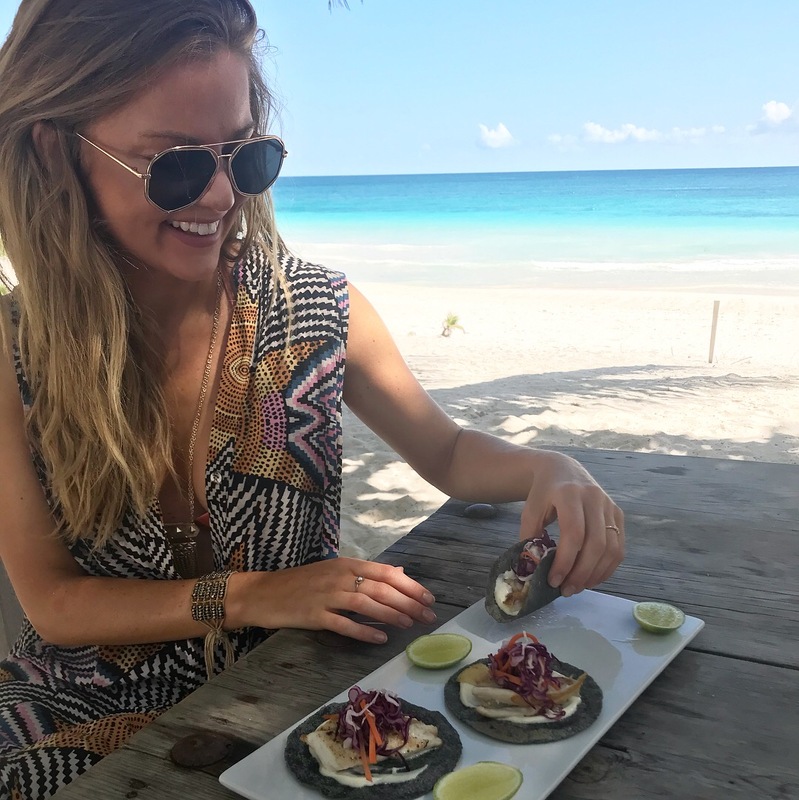 But far beyond my sheer excitement at eco-lodge treetop hotels, beachside luxury tents, and more vegan options than Los Angeles, what really sticks with me from Tulum is the vibe. This hippie-yogi, trendy-chic, relaxed easiness about the place and its inhabitants that just sits well with you, even long after you’ve returned home. 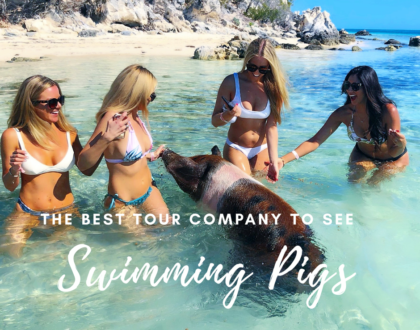 That’s really what Tulum is all about. East coasters rejoice! 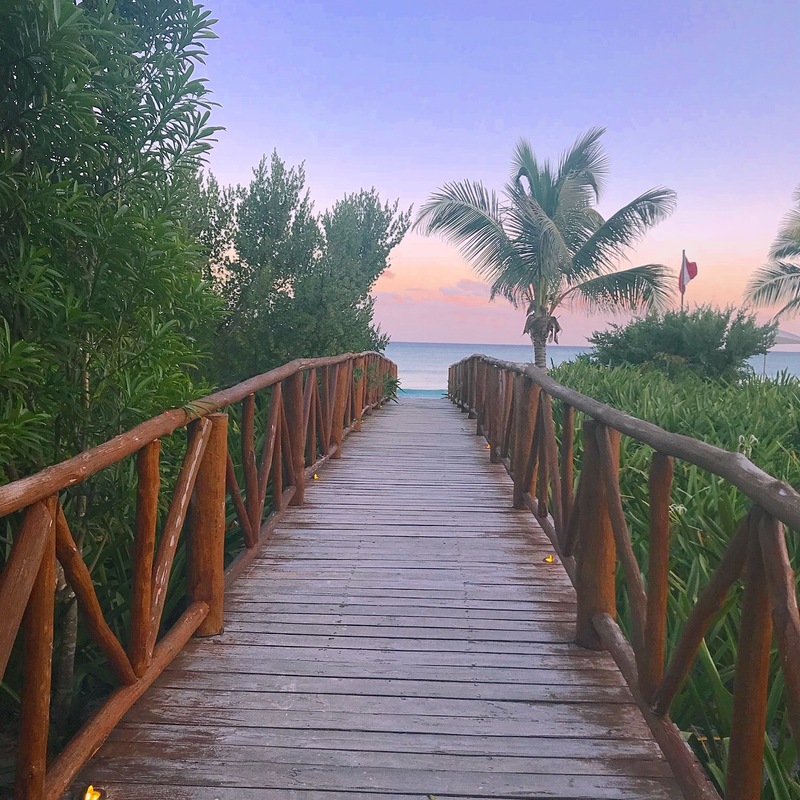 Just a short hop down to Cancun will get you close to the action of Tulum. From the airport it’s a two hour drive South along the coast, through the beautiful beach town of Playa del Carmen. If you’re up for the adventure and don’t mind the excitement of potentially getting pulled over and having to throw some bribe money to get out of it, then I strongly recommend renting a car. 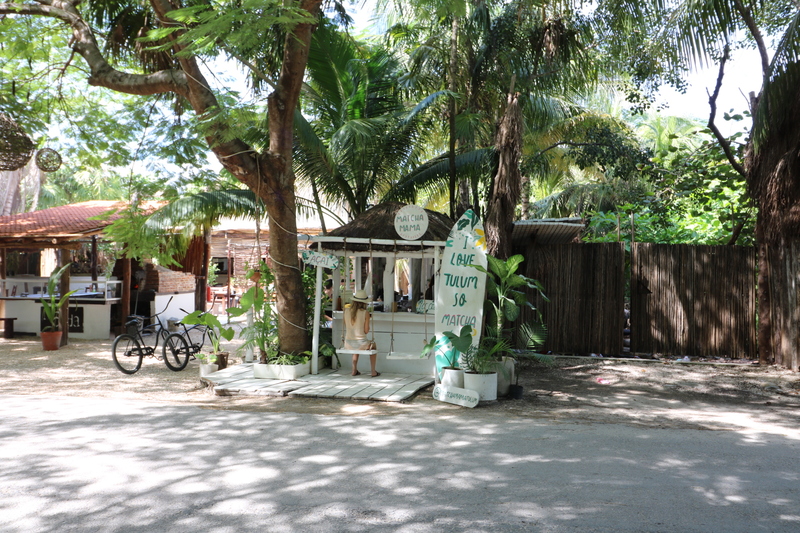 Driving in Tulum is easy and stress-free. And it is a straight shot to get from Cancun to Tulum without any troubles. Having a car ($50/day) will seriously come in handy for the days you go to explore the cenotes and the long drive inland to Chichen Itza. Alas, I understand the worry of driving in a foreign country that is notorious for horrific jail conditions… especially while build-a-wall-Trump still reigns as our leader. If driving is a hard no, just ask your hotel to have a private transfer waiting for you or book Happy Shuttle Cancun (reservation@happyshuttlecancun.com). Once in town, you can easily bike ride, call an uber, or hail a cab. 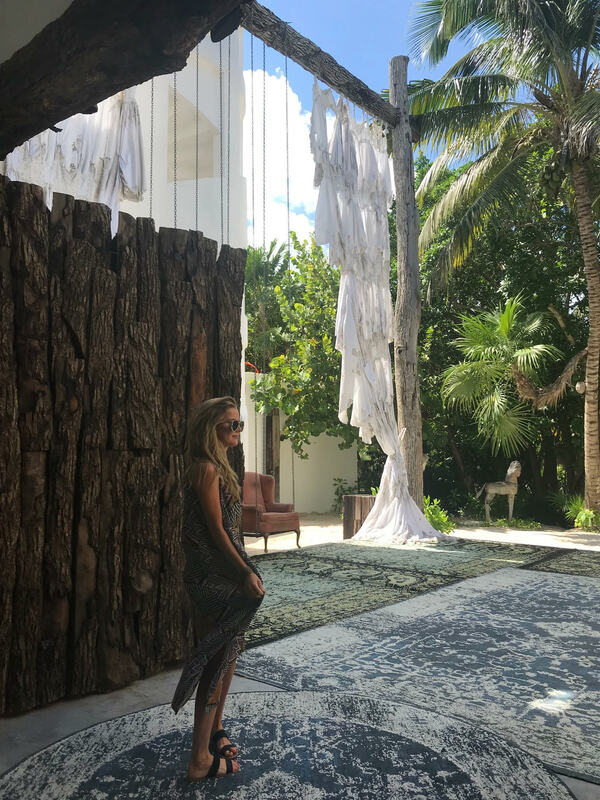 I had the most swoon-worthy hotel stay of my life in Tulum, but I can fully appreciate that pricey chic-eco lodge isn’t for everyone. 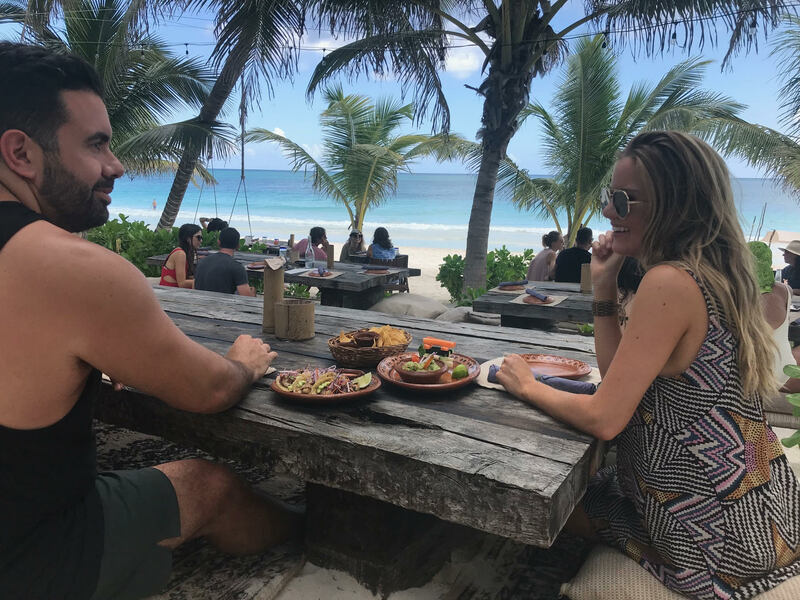 You see, there is an incredible number of hotel options stretching along the beachside of Tulum, you just have to know which type of traveler you are. 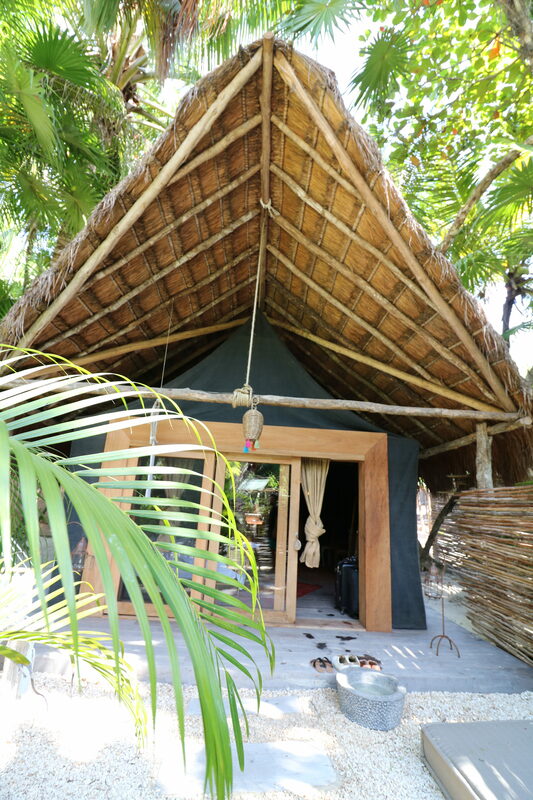 AZULIK: If the idea of luxury treetop bungalows overlooking the ocean tickles your fancy and you’re excited, not frightened, by an eco-lodge with no wifi or electricity (and optional clothes at the beach), then I cannot recommend Azulik enough. Quite possibly my favorite hotel in the world. Sitting on our private balcony swing as the sun set and our private stone hot tub filled is one of my most cherished travel memories. This is the kind of place that when dusk falls, a hotel staff member comes around to light your room candles. To order room service you write your order on a note, place it in a ball and drop it down a chute that transports it to the kitchen using just gravity! Every inch of this intricately designed treetop paradise was pure heaven to me and dripping in romance. Seriously, what a perfect place to spend a honeymoon or to reconnect with yourself on a solo trip. NOMADE: If you want to dial down the eco (and the price), head to Nomade. This hotel offers a lively boho beach vibe. 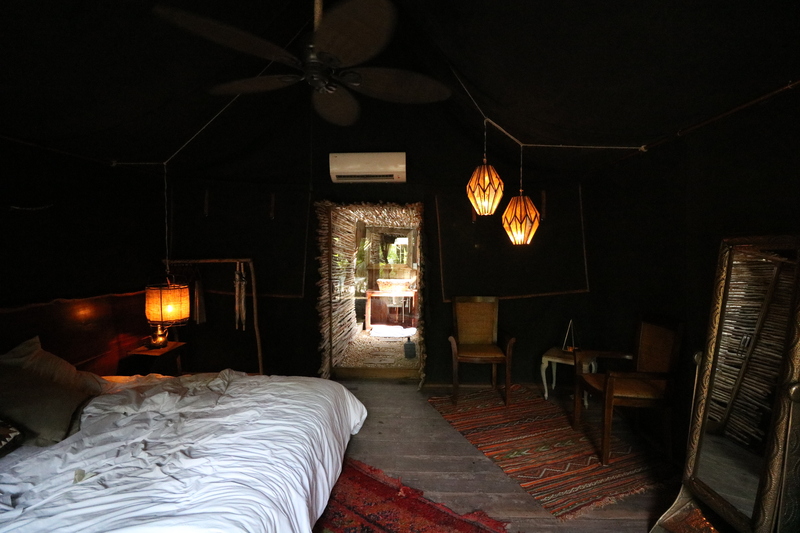 Stay in luxury tent-yurts right on the sand and enjoy one of my favorite breakfasts in a Moroccan inspired dining lounge. Next to the sound garden, you’ll find a large tent with nightly special activities, from sound healing to aromatherapy sessions. 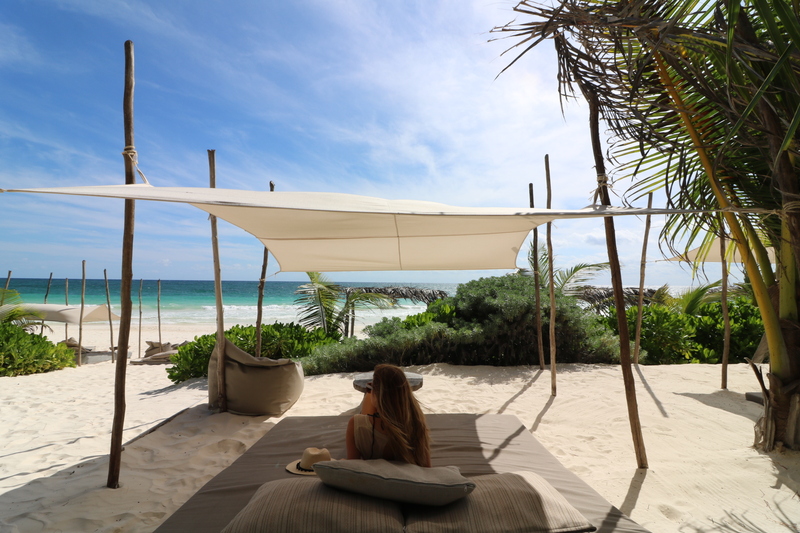 Right next to Nomade is their sister property BE Tulum, another great hotel. When you stay at Nomade you get to use the amenities at BE and vice versa. **When we return, we’ll book Azulik for two nights and Nomade for the remainder. 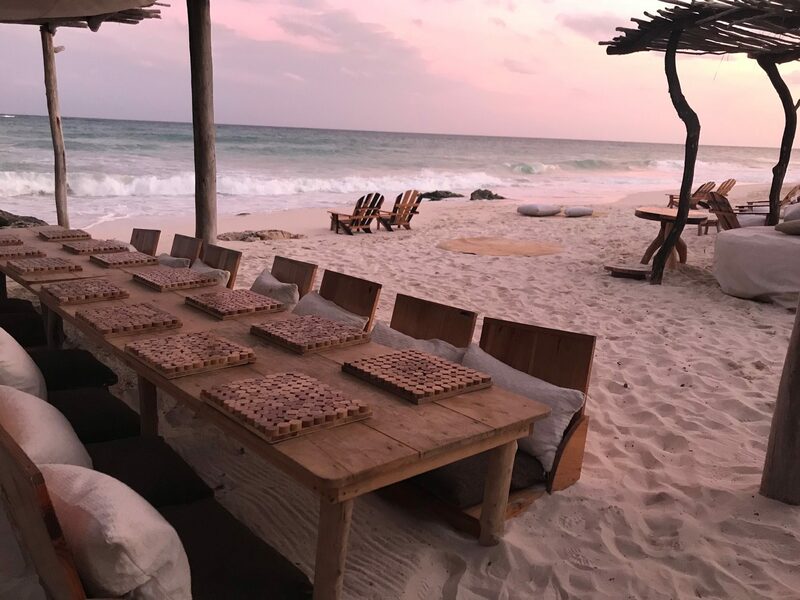 It’s nice to unplug and just enjoy the surroundings at Azulik before diving into the boho community of Nomade. 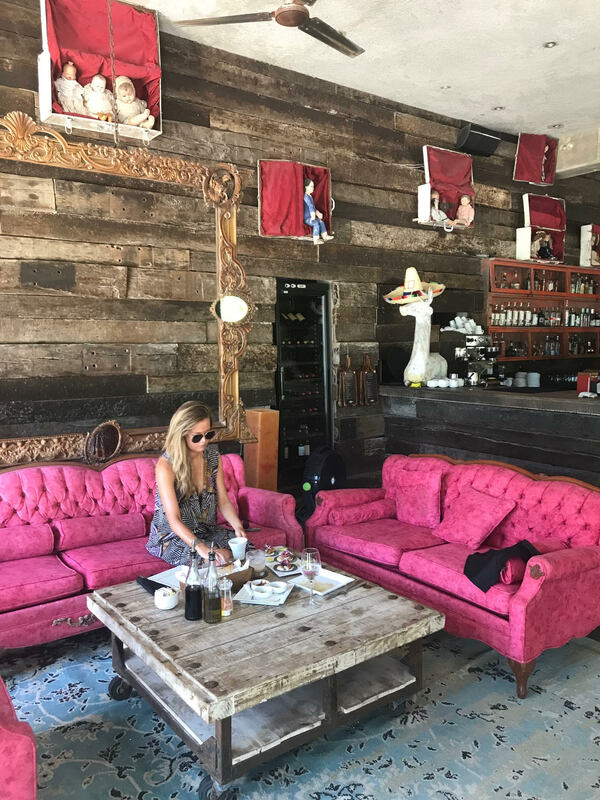 CASA MALCA: If you want less boho, more boujee. On the other side of Nomade you’ll find Pablo Escobar’s old stomping grounds. The hotel has been renovated to host guests, but Pablo’s flair is still very much present. This hotel is edgy and hip and perfect for a group of friends. ÚNICO: If you’re all about that all-inclusive life. Personally, I couldn’t be further from an all-inclusive traveler, but this brand new hotel is absolutely stunning. What is pretty unique about Unico is that spa treatments are included in your stay, you just have to pay 20% of the total price. 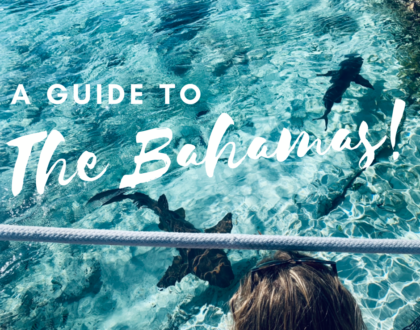 All meals, alcohol and some excursions (with a big group) are included. Some of the rooms have their own swim up pools, which feels pretty luxurious. This hotel surpasses 5 star American comfort. It is also located 30 minutes closer to the airport, so it could be a nice last night refresh spot before taking off for home. Just to reiterate, this hotel is not my cup of tequila, just a suggestion for those who enjoy that #allinclusivelife and are more interested in parking it in a beach chair than exploring downtown Tulum (which is a bit of a drive away). 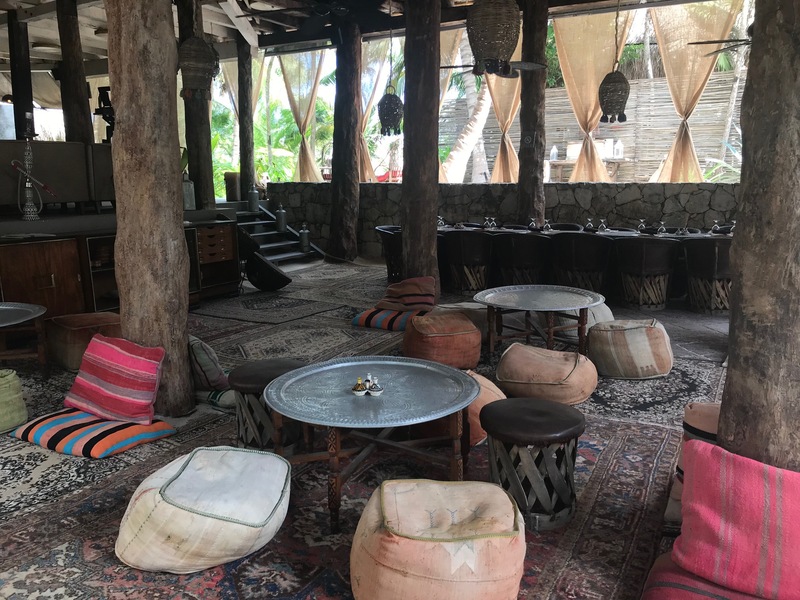 Macondo: Holistic dining inside of the Nomade hotel grounds. This Moroccan inspired dining spot is healthy, fresh and creative. Lounging on poufs, eating at etched metal tables, I could seriously eat here every single day of my life and be happy. I’d have a cacao chia pudding parfait and green elixir juice for breakfast, green envy bowl for lunch, and thai curry with lemongrass and ginger over coconut rice for dinner. Practically any dish can be made with or without meat/fish. 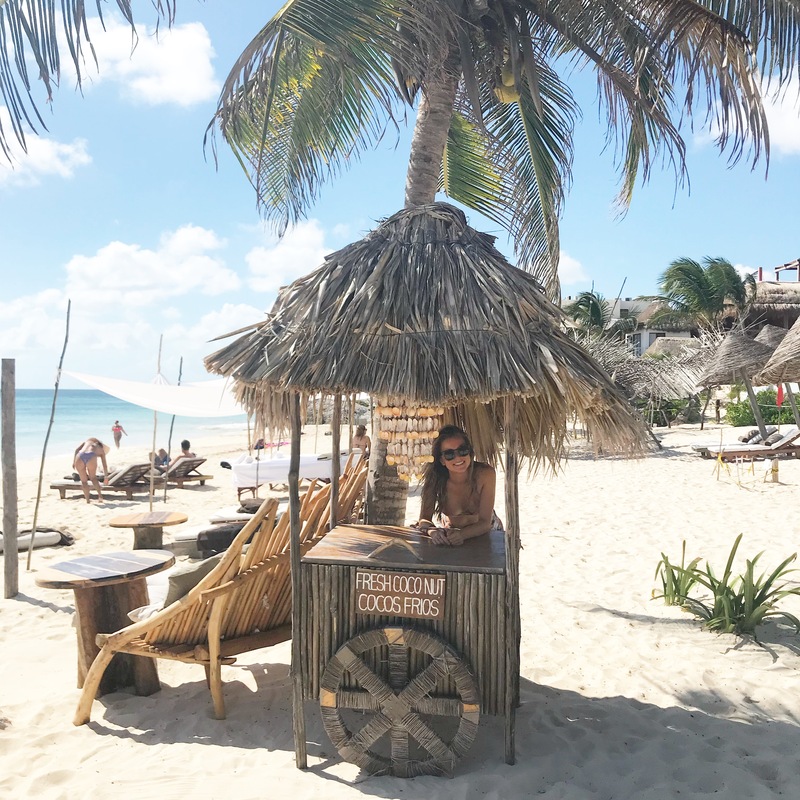 La Popular: Located on the beach at the Nomade hotel, just follow the smoke from the fresh fish grill and you’ll find it. Their ahi tacos will forever reign as the best I’ve ever eaten, and I live in California, so I’ve had my fair share of fish tacos. Matt ordered the clams innumerable times, and to quote, “still dreams about them.” Sit on big poufs at low wooden tables or cuddle up in a swinging bench facing the ocean. Orrrr maybe just grab your cocktails and lounge in a day bed while the soft calypso music serenades you. Best for lunch or dinner. You can also order from Macondo and have it brought to you beachside. 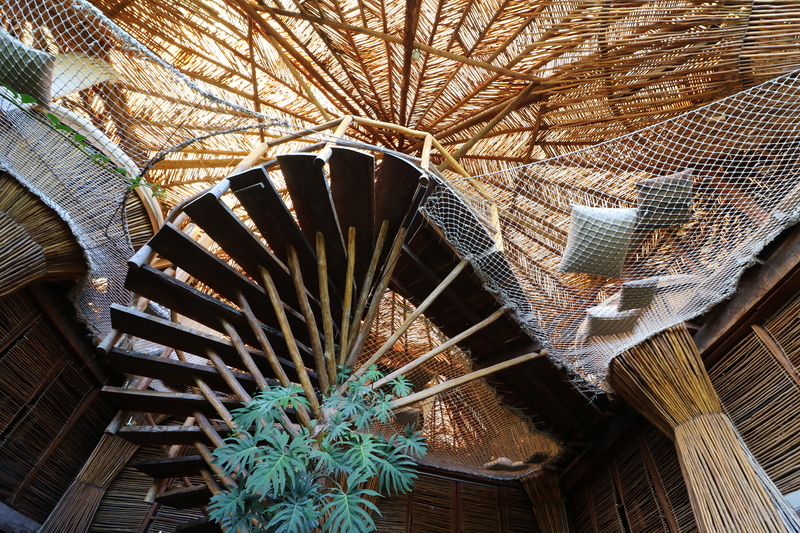 Kin Toh: Wind the candle lit wooden staircase at the Azulik Hotel high above the trees and walk a catwalk with people lounging in nets on either side to reach this five star eatery. A place where you’ll get a world-class tasting using fresh local flavor and paired with creative cocktails while you watch the sunset drop below the trees. My husband, who got the regular tasting menu, wasn’t impressed with the dainty portions for the price, but I loved the vegan tasting. Regardless, you go for the experience. Casa Malca: Great spot to grab tacos and a cocktail in the hip restaurant or at a beachside table. In my opinion, the hotel is a must-see and I thoroughly enjoyed letting my mind run wild imagining what this place must have been under Pablo’s reign. Matcha Mama: The most adorable road-side white shack serving up matcha inspired drinks and cutesy ice cream bowls. 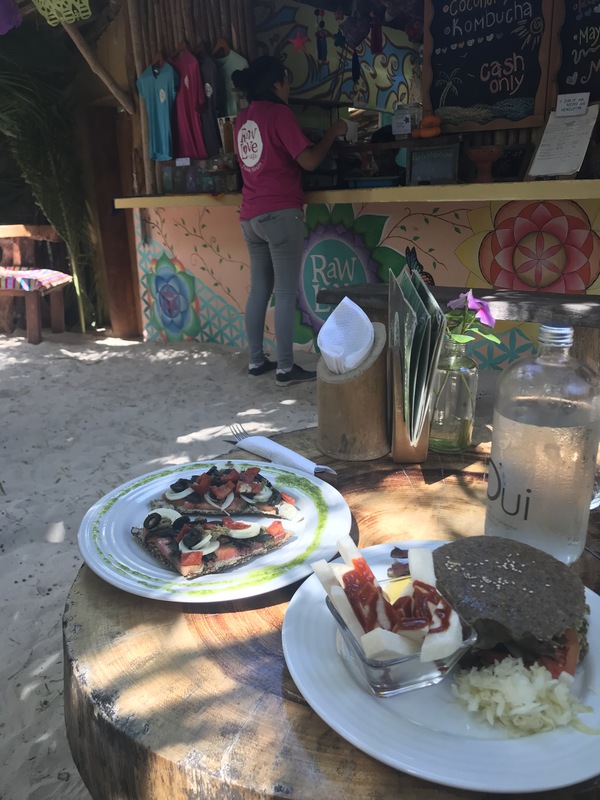 Raw Love: If you’re a vegan or you’re just itching for something healthy before you spend the day in a bikini, Raw Love hits the spot. Lounge in hammocks on the sand while you wait for your raw vegan pizza and antioxidant boosting smoothie. 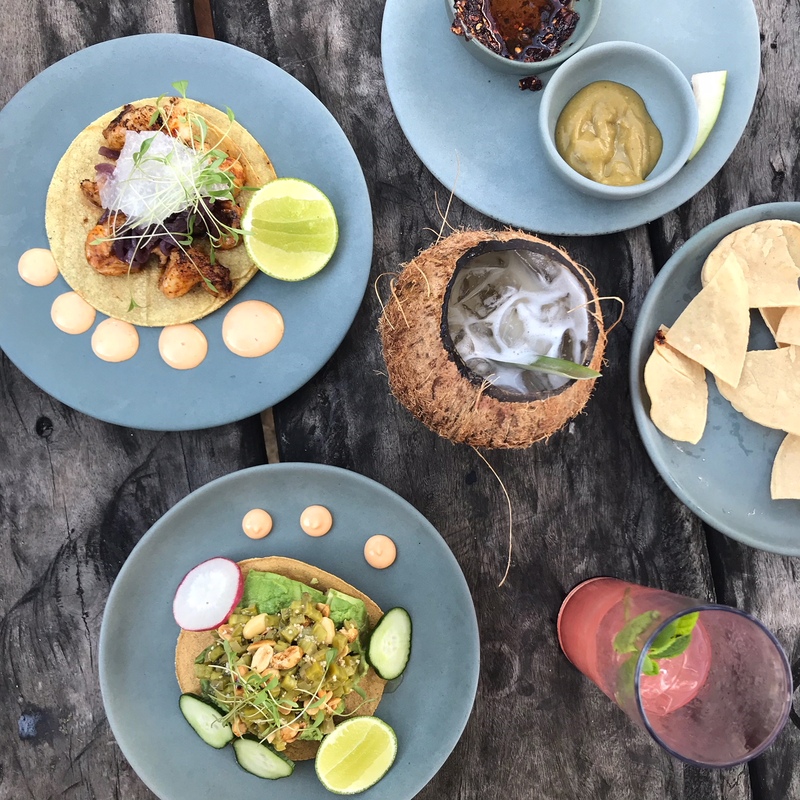 Gitano: I am all about this hopping restaurant with live music right in downtown Tulum. Smoky and sweet cocktails at their mezcal bar and local favorites cooked over an open flame. We only got appetizers here, but the place was slammed every single night… I suppose for good reason! Hartwood: We really wanted to eat here, but it was closed during our visit. This no frills spot comes highly recommended. If you get a chance to eat there, let me know how it is! Cenotes: The entire Riviera Maya is dotted with zillions of limestone caves to visit, all unique in their own right. 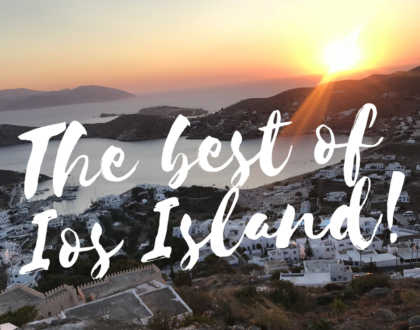 It can definitely feel a bit overwhelming narrowing it down to the 2-3 you plan to visit, but I cannot recommend the three we visited more. 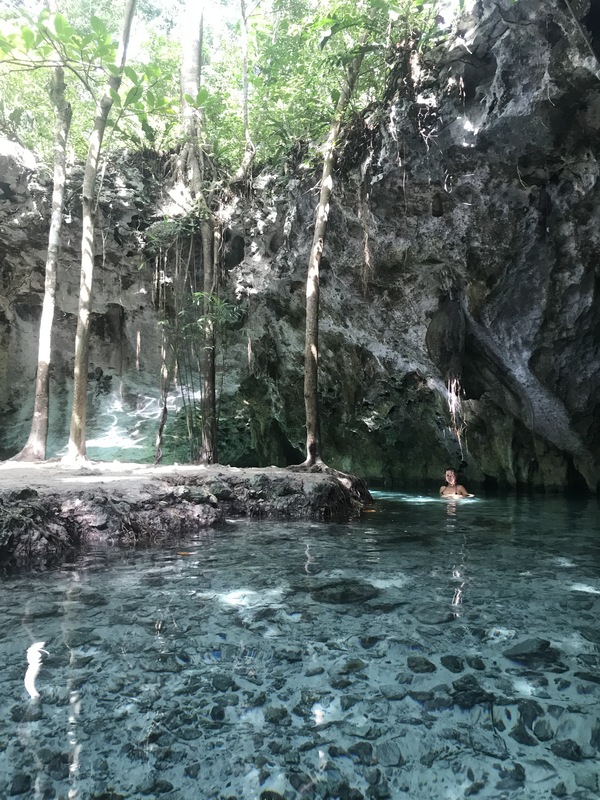 I suggest swimming in the crystal clear waters of the Gran Cenote right in Tulum, and if you’re up for scuba diving through a maze of underwater tunnels, checking out Dos Ojos. You will need pesos to enter both, as neither take credit. The third cenote, Ik Kil, is near Chichen Itza, so a full two hours from Tulum. But oh my word is it magical. There is something seriously eerie about the dark abyss, but jumping off a rock ledge into the cool water was nothing short of exhilarating. 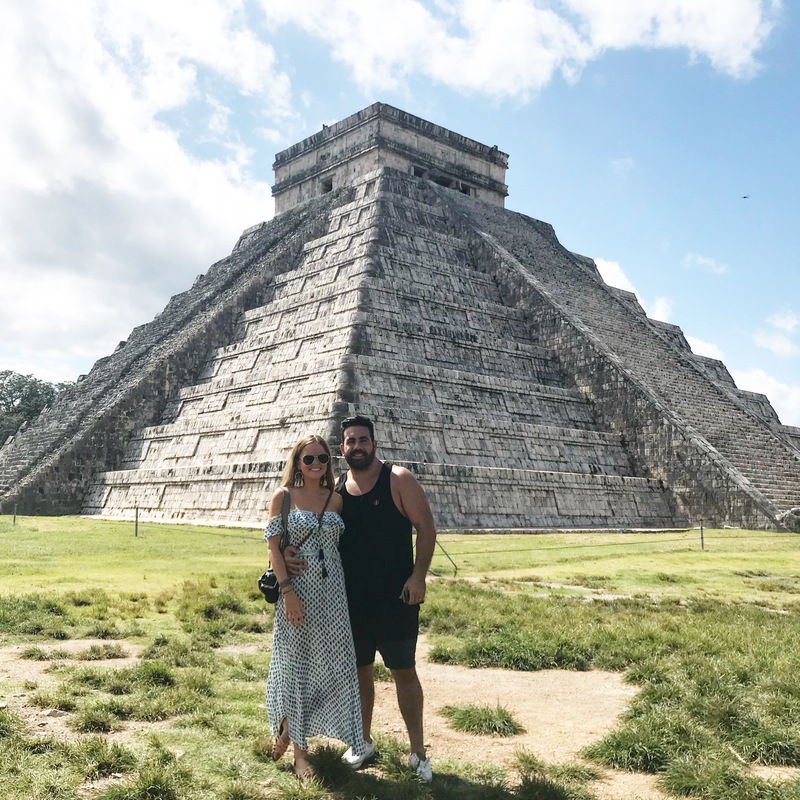 Chichen Itza: What a shame it would be to visit Tulum and not have an opportunity to see the pyramids of Chichen Itza, one of the seven wonders of the world! Well, a shame if you’re into that kind of stuff. It’s impressive, but far.. and will take you nearly a full day excursion that you could have spent relaxing at the beach. 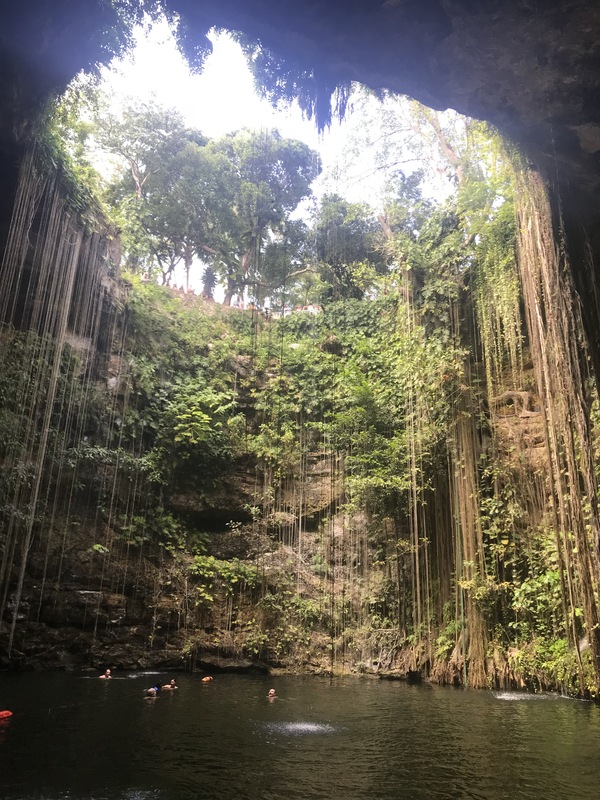 The bonus to visiting Chichen Itza is that it affords you the opportunity to see Ik Kil Cenote (above) and stop in the colorful city of Vallolidad. Vallolidad: Hold up, are we still in the Yucatan Penninsula? 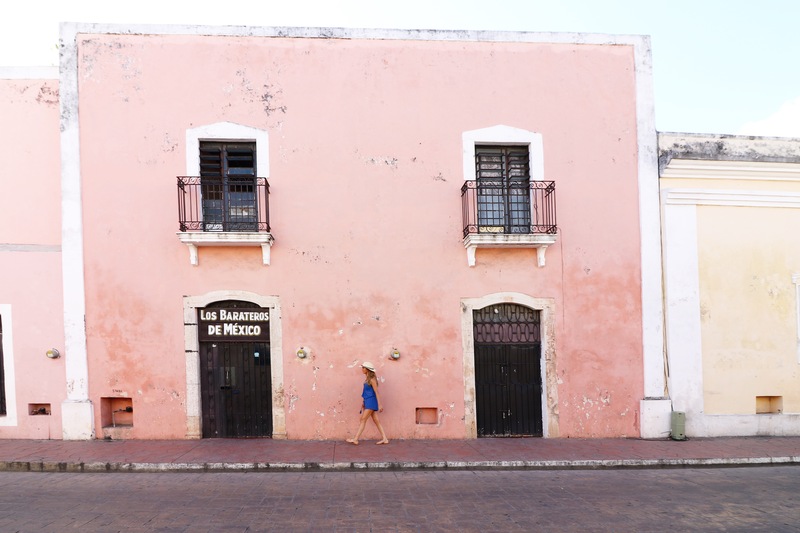 This little city center outside of Chichen Itza is absolutely dripping in rainbow-colored charm. 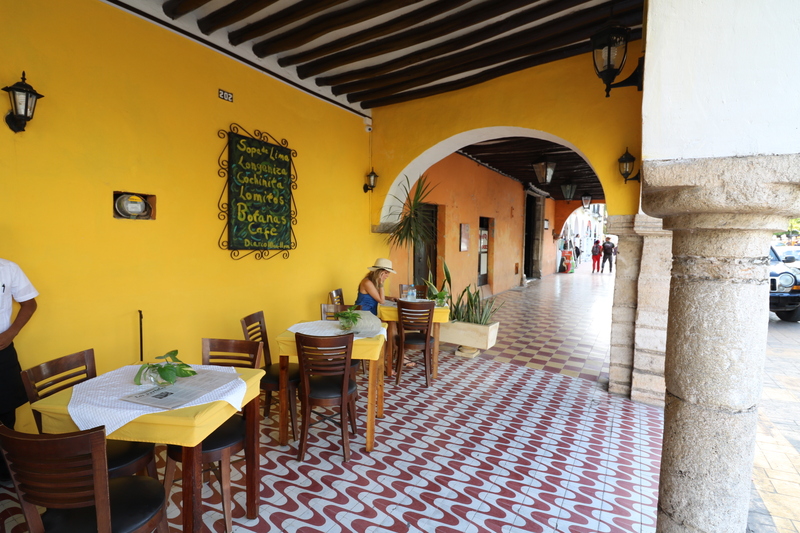 I loved strolling through the clean bright buildings, stopping for lunch at a delightful streetside cafe and shopping for treasures in the bustling storefronts. If it weren’t for the abundance of guacamole, you’d have a hard time remembering you’re in Mexico here. Tulum Ruins: Take a bike from your hotel for a ride up to the Tulum ruins. The ruins are built against a cliffside backdrop and inhabited by spider monkies, lizards and cute little lemur-like mammals. They’re worth the short bike ride and there’s a pretty cool swimming spot right north of the ruins. We stopped for post exercise cocktails at Mi Amor hotel. 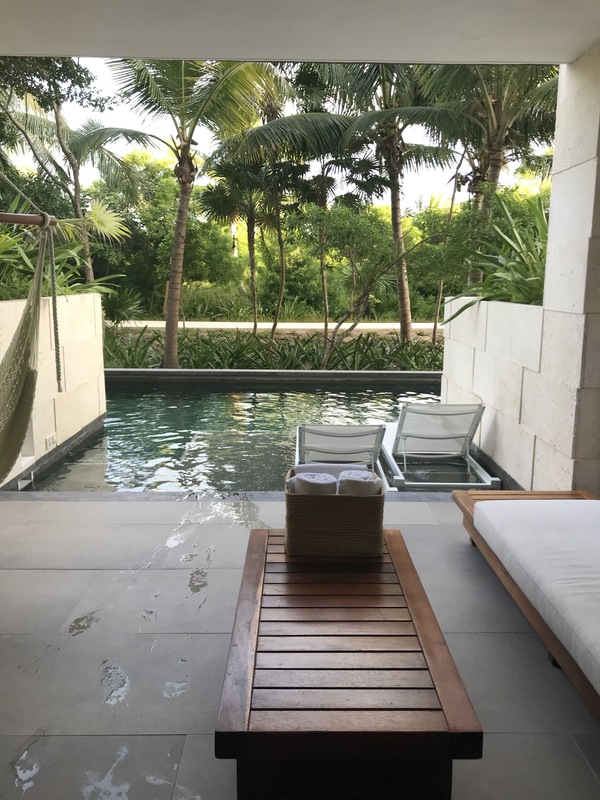 Relax: Like I said at the beginning of this post, the very best part about Tulum is the vibe. It is a true escape, best enjoyed with your toes in the sand. 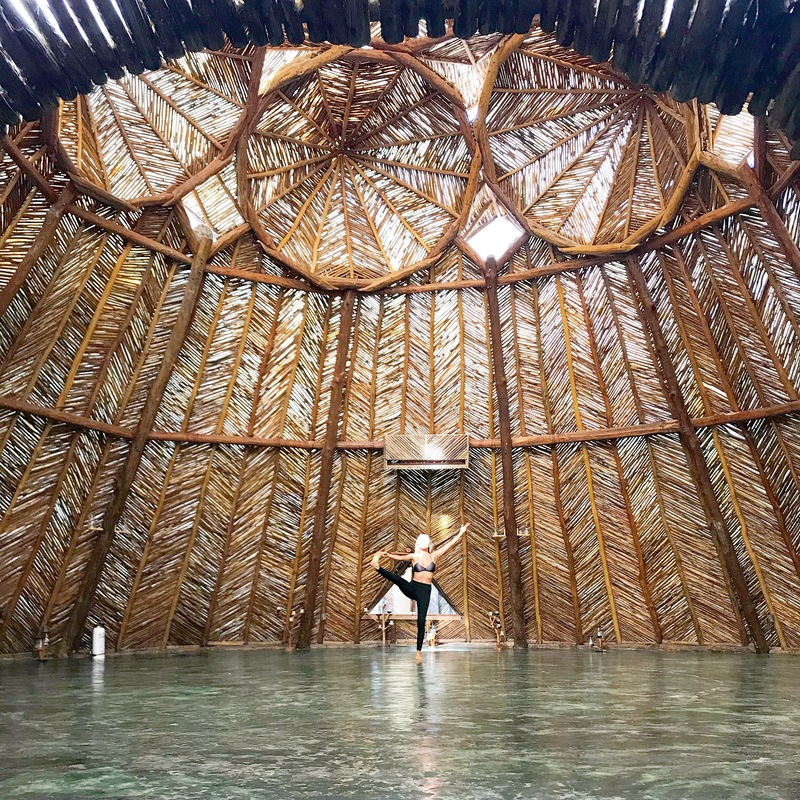 Sleep in and skip yoga one morning, spend an entire afternoon lounging with a good book, indulge in a Mayan spa experience, go to a sound bath… whatever you decide to do with your time in Tulum, make sure you leave plenty of room for total and utter bliss. This looks gorgeous. I want to visit!! What a paradise!! 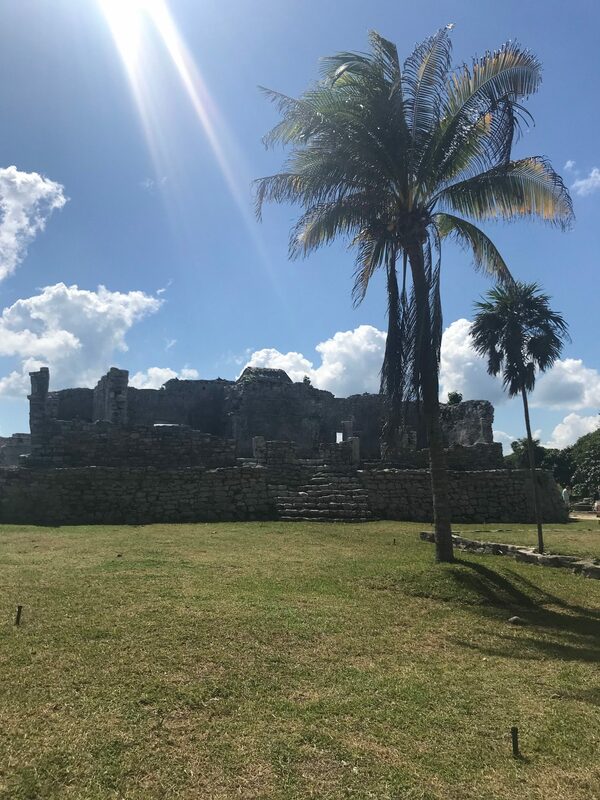 Tulum looks like such a great place to get away and just relax!! We are heading there in a few weeks. Where did you get you halter dress you are wearing on the swing? So cute. Thanks!! Your photos are so beautiful. I can almost feel the warmth and smell the beach air through them. Your pictures look amazing. 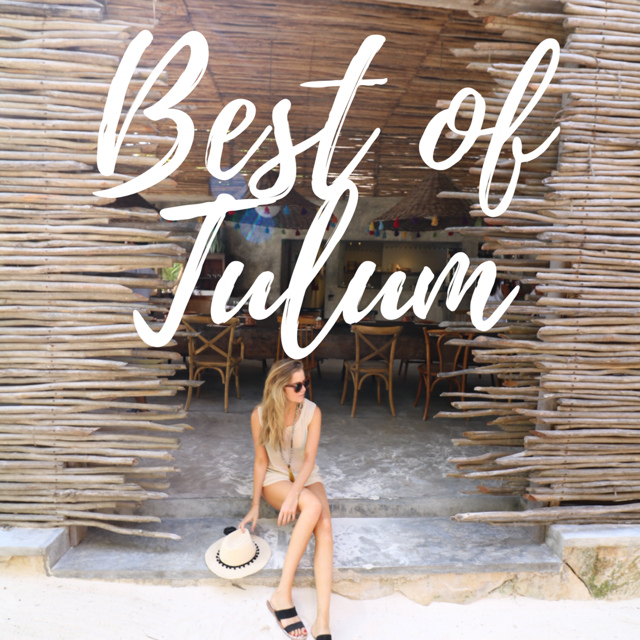 It’s my first time to read about Tulum. It seems that it’s a paradise! I love how you give suggestions for lodging besides the pricey hotel.